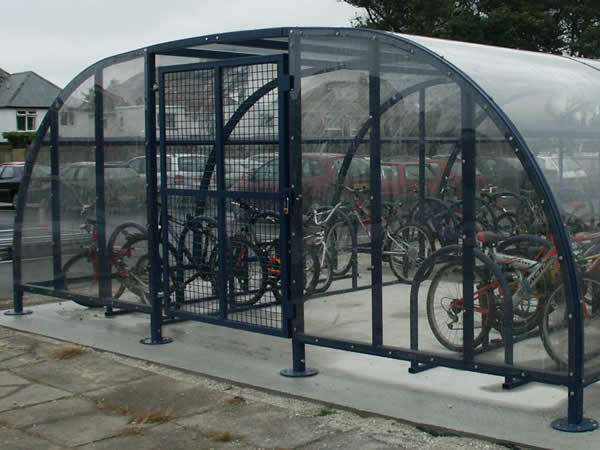 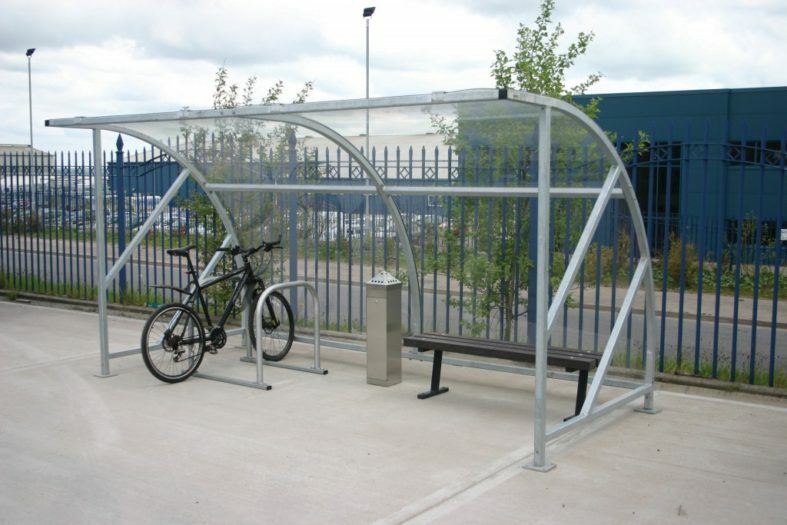 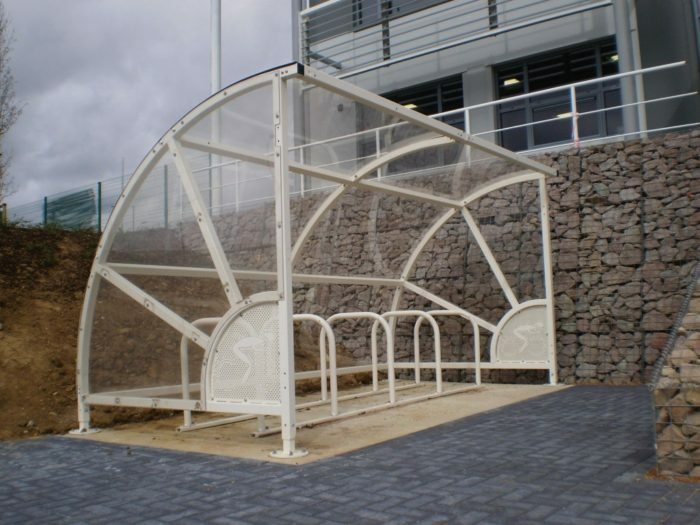 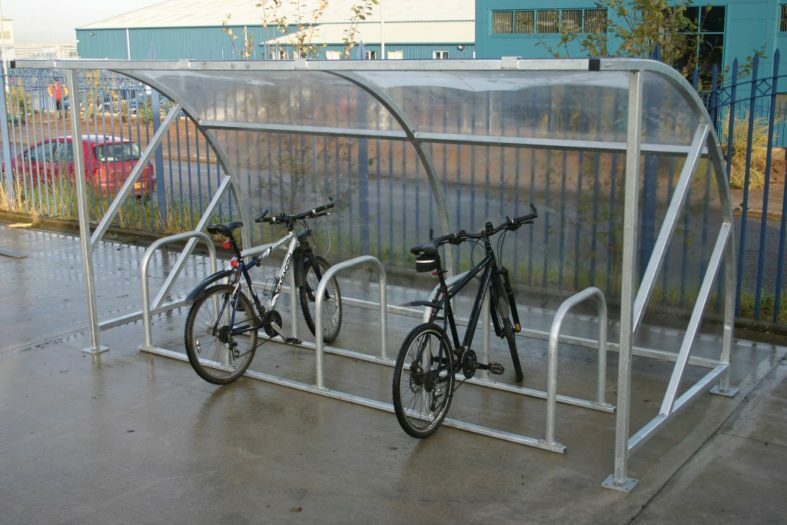 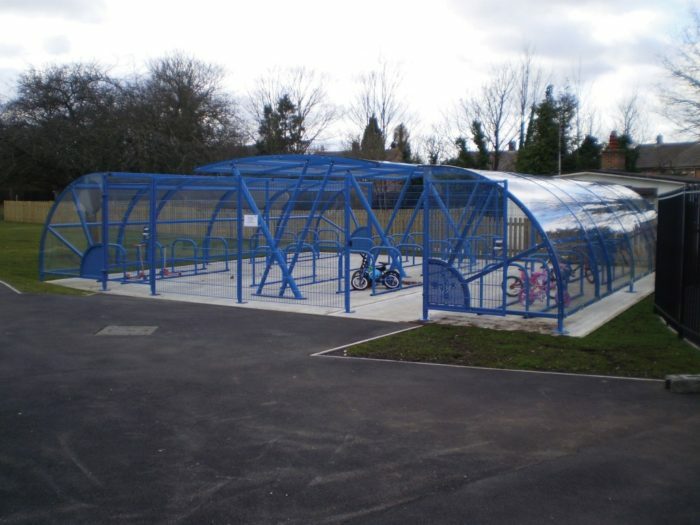 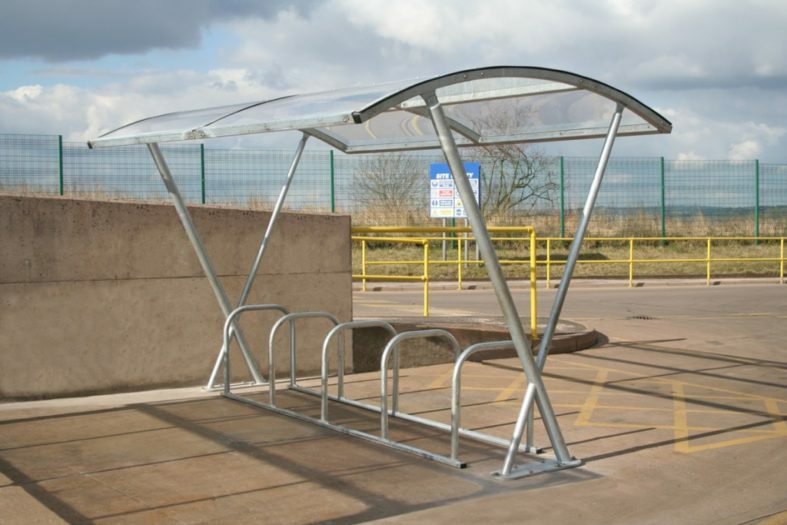 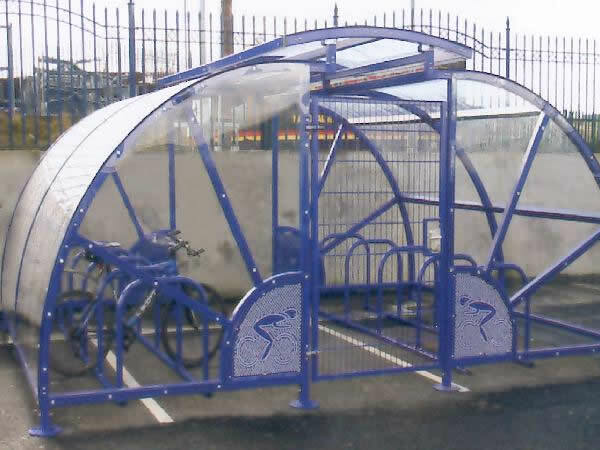 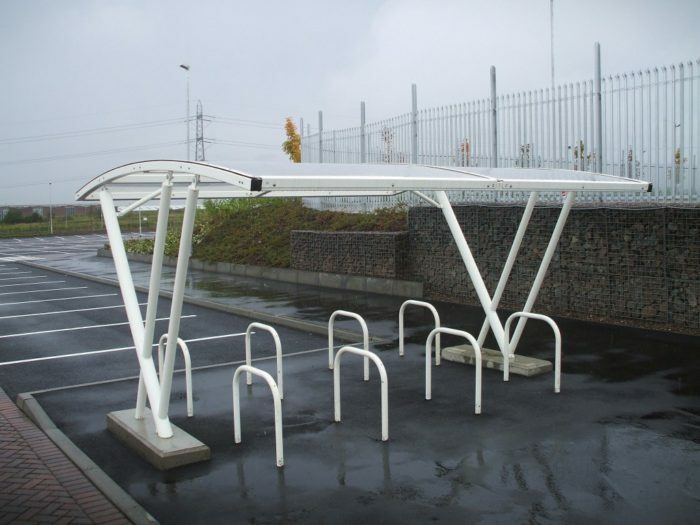 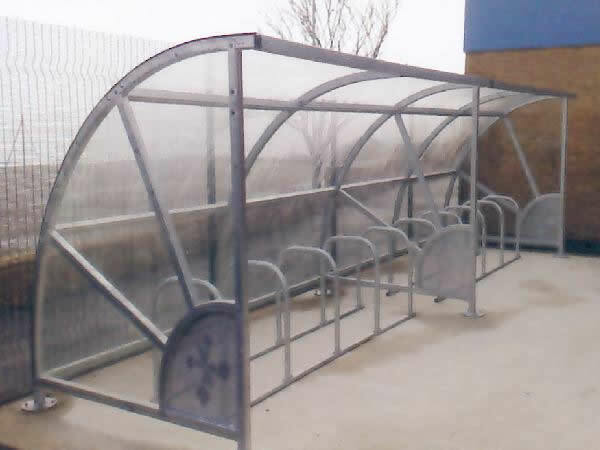 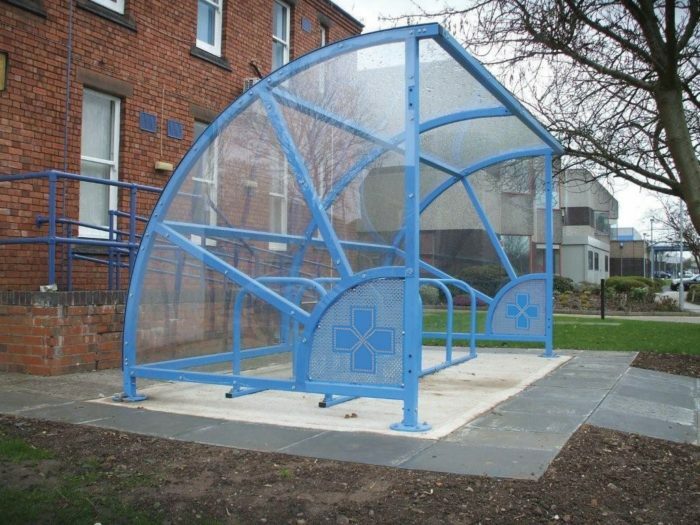 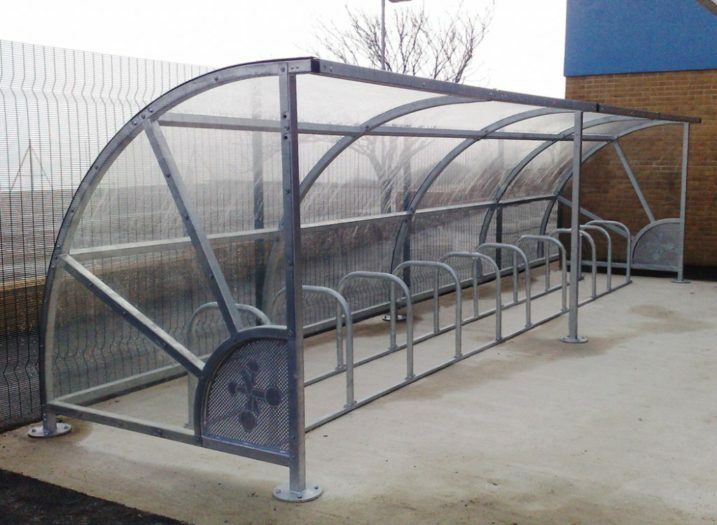 Our shelters have been designed as a complete modular system to suit all budgets and requirements, whether the shelter is for cycles or a smoking area, we can supply whatever you require. 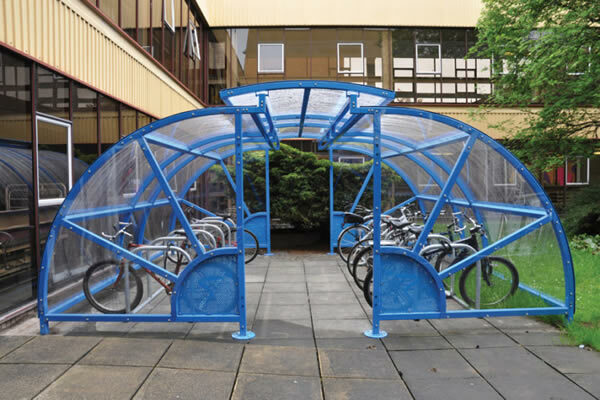 Built to last with a range of colours to choose from. 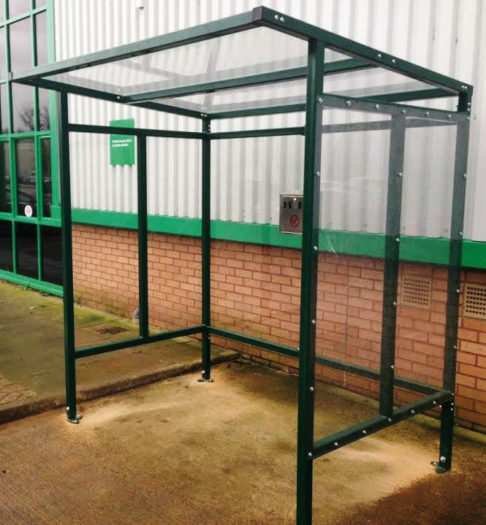 Our shelters have the flexibility to provide almost any configuration from inline shelter to full secure compound, allowing for retro fitting should capacity requirements change, a roof, additional bays and gates can all be added with ease. 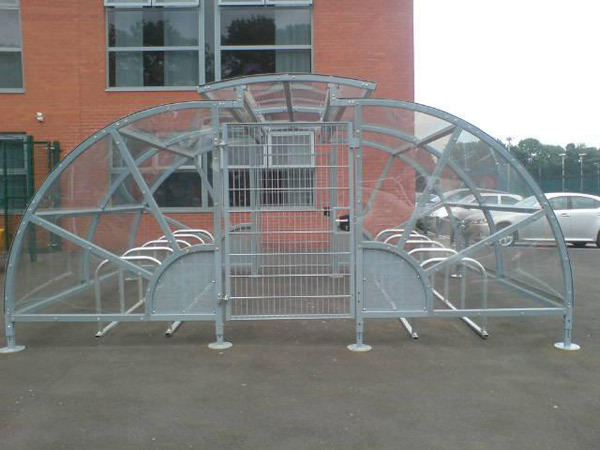 Inline extensions can be added incorporating upto 2, 4 or 5 metre sections. 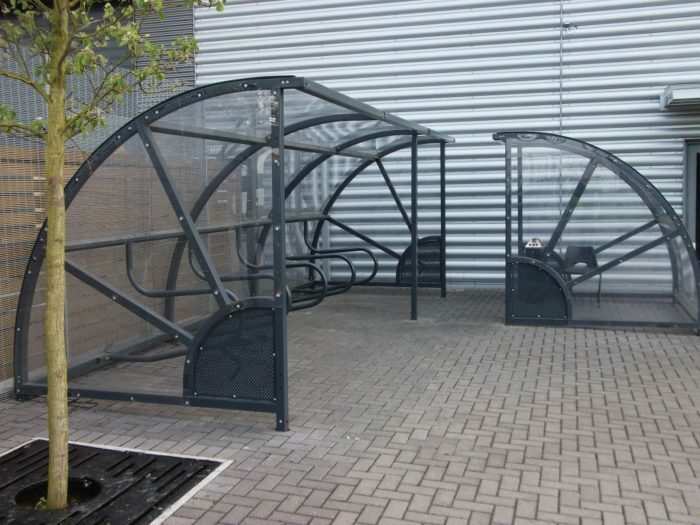 Compounds can be formed using opposing shelters with optional gates, gangway roof and fixed end panels. 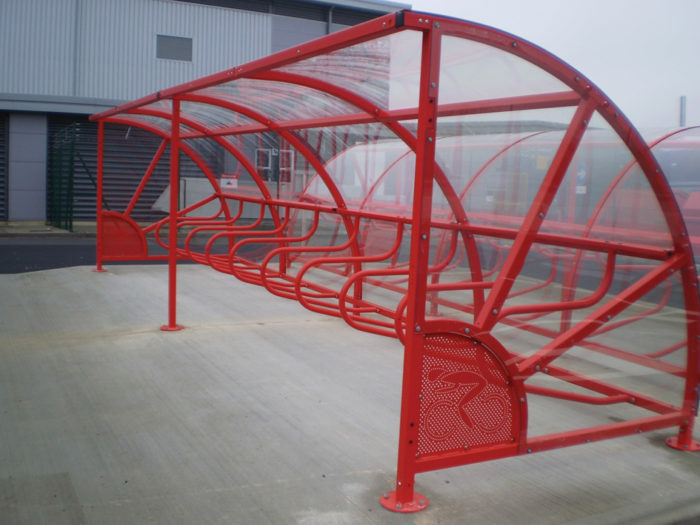 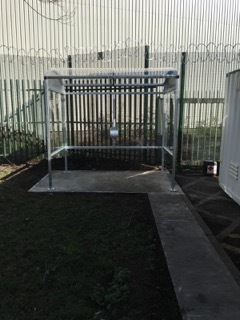 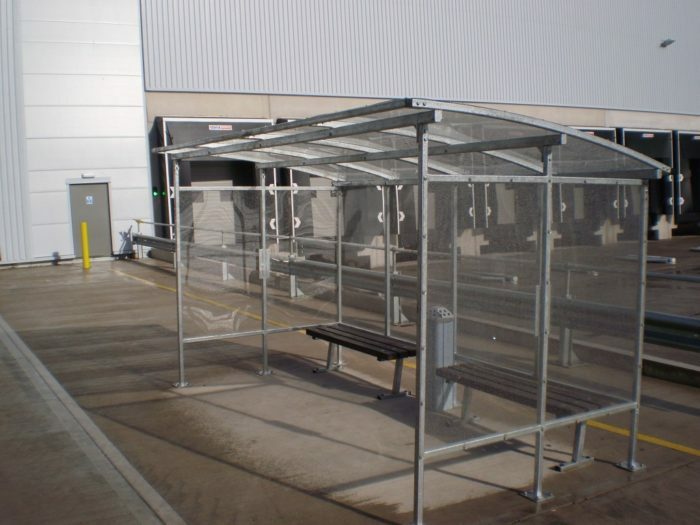 Our shelters are particularly popular on industrial or commercial sites where a large capacity is required and can include options such as recycled plastic benches and stainless steel tower ashtrays. 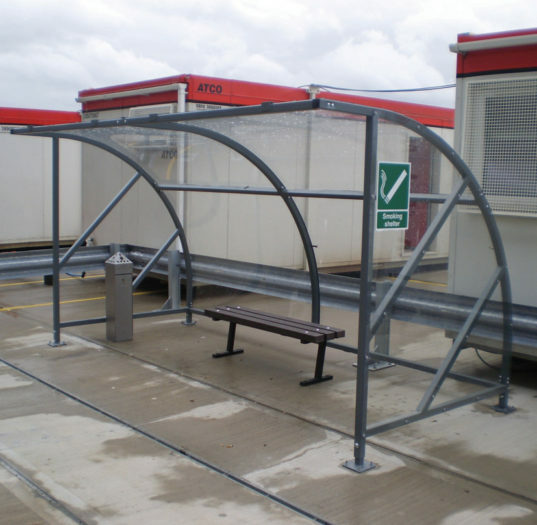 Our functional flat roof shelters have been designed to offer excellent value for money. 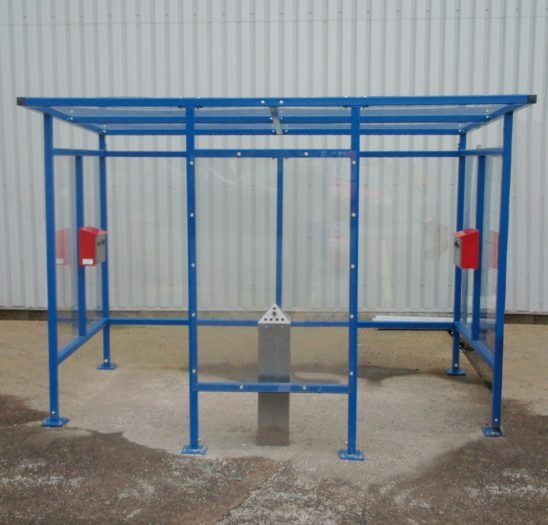 No frills practicality, but perfectly suited for smoking or waiting shelter usage. 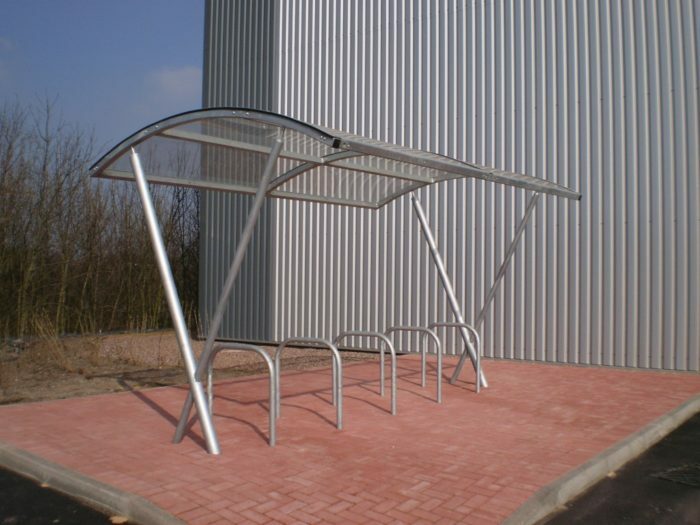 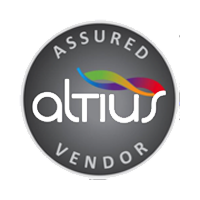 Our range of shelters includes a canopy style shelter combining stylish looks with excellent strength and stability. 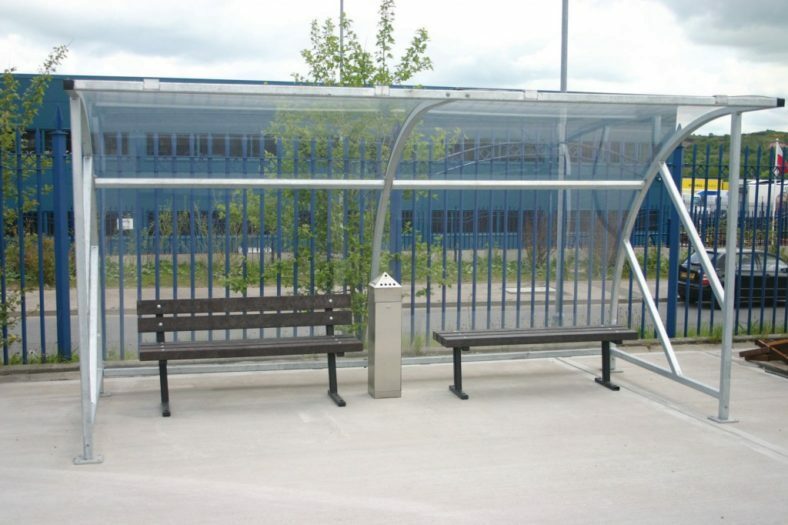 Single and double width designs are available. 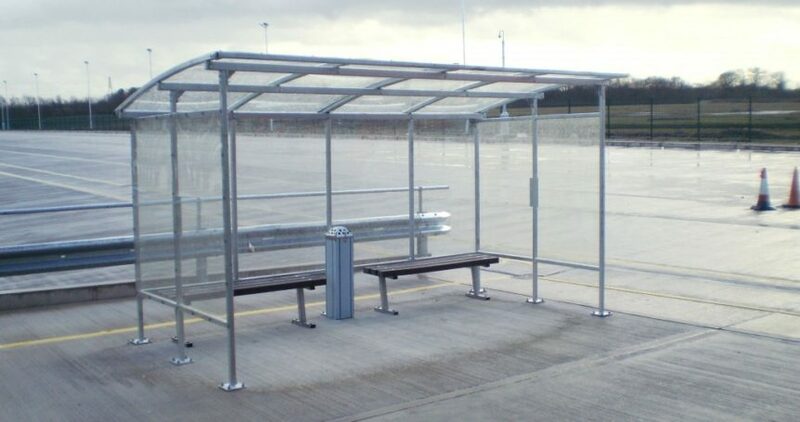 These shelters are better suited to installation on flat surfaces due to the nature of the end frames. 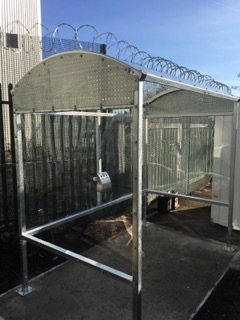 For more information on any of our types of SHELTERS, welded mesh fencing, palisade fencing, railings, site hoardings, timber fencing, gates and games area fencing, covering the Birmingham, West Midlands and the UK, call G and H Fencing for a competitive quotation on 01789 209191, Email us using ghfencing@btconnect.com or complete our simple enquiry form.